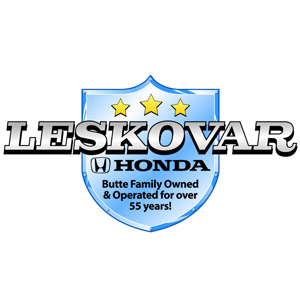 Leskovar Honda is Butte's only family owned and locally operated car dealership. Established in 1957, Leskovar Motors has been a trustworthy and reputable business in Southwest Montana for 56 years. This means we know what we are doing and and can assist you through the entire buying process to make it an easy, stress free, fun experience. We believe in treating our customers and employees the way we ourselves, want to be treated; fairly and honestly with no gimmicks, sales pitches, or pressure to buy. At Leskovar Honda we carry all makes and models of new and pre-owned Hondas along with a wide variety of other pre-owned vehicles. Leskovar Motors offers top dollar for your trades, so you can be assured you are getting the most out of your car. We also buy vehicles for cash if you are interested in selling your car rather than trading. Although Leskovar Motors was not actually established until 1957, the automobile business was already ingrained in the Leskovar family. From 1937-1942, Anton Leskovar was the Butte Willys dealer, a franchise made famous for it's civilian version of military jeeps and the Americar. In 1942, the production of cars was shut down due to World War II. During this time, business continued through Central Auto Service, an automobile paint shop which eventually evolved into a full service body shop. Central Auto Service was located on 39 E. Galena, above the then Wellman Motors Dodge dealership. In 1957, Ted Wellman decided to retire and sold the entire building to the Leskovars'; the Edsel franchise was added shortly thereafter. The Lincoln Mercury franchise, the luxury brand for Ford, was later added 1958. Ted Leskovar, Joe’s younger brother later joined the family business as Joe and Anton’s partner. Ted and Joe expanded their operations in 1968 and opened another dealership in Kennewick, Washington. Shortly thereafter, the Honda franchise was added in 1975-making Leskovar Motors Montana's oldest Honda dealer. In 1985, Leskovar Motors relocated from uptown Butte to 3766 Harrison Avenue, our current location. Four generations of Leskovars have worked to preserve what was originally started. Today, we still take pride in conducting business with the same ideals that were instilled over 56 years ago... our customers are our first priority.